Though the two begin a tentative but explosive relationship, they know it can’t last forever. Neither of them are made for the long haul when it comes to love and romance. When the demons from Autumn’s past find her and put both their lives at risk, Griffin will stop at nothing to protect her. In the end, though, he’ll be the one who needs a second chance. Another enjoyable read with all of the emotions this author loves to express. Looking forward to the next book! I can’t stop reading this series!! They are family and accept each other as they are:). I was gifted this book as an ARC for an honest review. 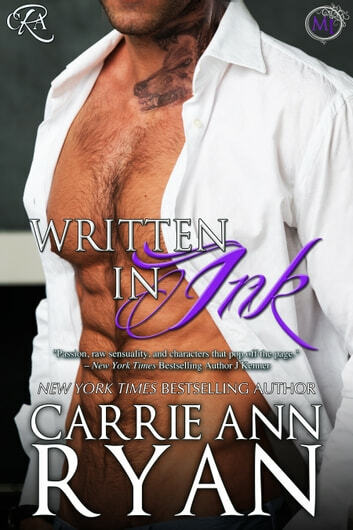 I enjoy Carrie Ann’s writing style. She keeps you interested in the book from start to finish, and then leaves you wanting more. This book is well written and has a few twists that I did not see coming. The romance part of the book is pretty good as well. I cannot wait till the next in the series is out so I can devour that book too. Each Montgomery Ink book is so good, I can't wait to read the next. I loved Autumn and Griffin's story. Each character was strong, no over-angst going on, each doing what they want and need even if they're not sure about the outcome. Excellent amount of heat and emotion.